So you want to take your run off of the road? Here’s everything you need to know. And while trail running used to be thought of as more of a fringe sport, more and more people are opting in. Participation increased by nearly 43 percent between 2012 and 2016, according to research done by the Outdoor Foundation, and Hobbs says it’s not just the number of participants that’s growing, but also the number of events offering racing opportunities for trail runners. RELATED: Hit The Trails With These 4 Shoes You’ll Love! Follow these tips to tackle that new terrain like a pro. When you run a trail race, you should think of it as effort-sensitive versus time-sensitive. “You’ve got to be able to equate effort with the terrain you’re on,” says Ian Torrence, a trail and ultra running coach. “On straight, flat terrain, it’s going to be easier to hold a certain pace; if you’re going up a ski slope and trying to maintain a certain pace, you’re going to blow up by the second half of the race,” he says. While you don’t want to stress about a certain time or pace during a trail run, you do want to pace yourself. “It’s so much more important than on the road, because if you go out too hard on an early hill, you’re already exhausted, and you’re going to end up losing time overall,” says Frost. It’s all about eking out your energy across the distance of the race course, so you want to prioritise workouts that make you practice that. “Fartlek workouts, where you’re running fast from point A to point B and then running at a recovery pace for a few minutes will better you for the trail than looking at your watch and trying to hold a certain pace for a certain distance,” says Torrence. Make sure to run those fartleks over uneven terrain, uphill, and downhill to get a sense of what’s sustainable for you. Think about running on a road – it’s pretty linear, right? You’re just moving forward, one step at a time, from the start line to the finish line. That means you’re using mostly your quads, glutes, and hamstrings. “But when you’re trail running, there are dips, curves, rocks, roots, and jumps. The trail is all undulating and changing direction, and even if it’s straight, you may have to go side to side because of uneven footing,” Torrence says. That means it’s crucial to strengthen your lateral muscles. “You want to work side lunges, single leg exercises, Russian deadlifts, any sort of squat exercises into your workout routine,” he says. You also need to be doing really dynamic twisting and balance exercises, says Frost. “Even just standing on a wobble cushion can help develop your balance and strengthen your ankles, which is really important for varying terrain,” she says. Exercises that challenge your fast-twitch muscle fibres and agility, like putting a ladder on the ground and doing lateral speed drills, is really going to help prepare you for the trail, says Torrence. “Shufflers don’t do well on the trails,” Torrence says. “Running with a higher cadence can help.” That means you’re feet will have a faster turnover, or you’ll take more steps per minute. “A lot of people can do that on flat terrain, but when it comes to rougher terrain and weird footing, we get more tentative because we’re scared,” he says. “But staying upright with your feet directly below you is going to give you the best purchase power. 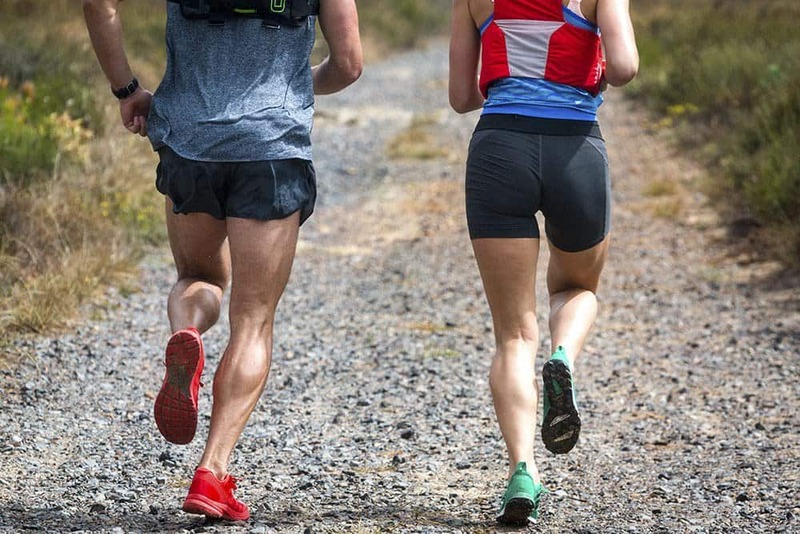 Even if you do slip, your other foot will come down pretty quickly to be able to correct any loss in balance.” High knee drills and speed play, like fartleks or downhill sprints, can help you increase your cadence. Stop if you need to. Catch your breath. But also stop to enjoy the view. “If you’re just starting out and you look up while you’re running – boom – you’re on the ground,” says Hobbs. “That freaks people out. So stop and look at the trees, the bird flying overhead, whatever.” There’s no harm in taking a break to appreciate nature. “You’re more in tune with the environment and your body on the trail,” says Frost. Once Again, No-One Finished The Barkley Marathons! UTCT Excitement Begins As 2019 Entries Open! Trail Fever At The RW Trail Clinic!